This program visits two of the oldest desert monasteries in Egypt to observe religious practices and a way of life that have changed remarkably little since the beginnings of Coptic Christianity. It also explores the religion's iconography and the art, artifacts and textiles it has inspired. 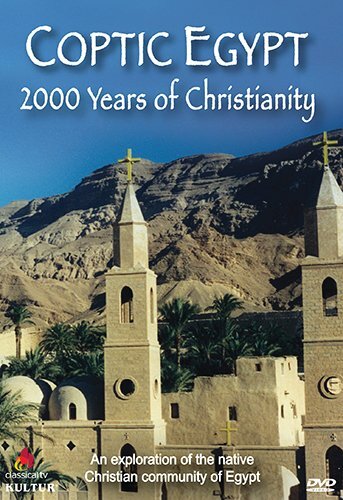 New York, NY (October 4, 2013) - Kultur is proud to announce the DVD release of Coptic Egypt: 2000 Years of Christianity available October 29, 2013. The Copts, the native Christian community of Egypt, have a culture, a language and a church with ancient roots. Having survived Roman persecution and Byzantine rule, they have co-existed with Islam for fourteen centuries. This program visits two of the oldest desert monasteries in Egypt to observe religious practices and a way of life that have changed remarkably little since the beginnings of Coptic Christianity. It also explores the religion's iconography and the art, artifacts and textiles it has inspired.